Fernando was born in Requena (Valencia) in 1963. He received the Licenciado and the Ph. D. degrees in Mathematics from the Universitat de Valencia, Spain, in 1986 and 1990 respectively. 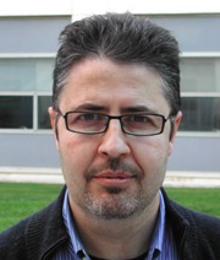 He worked in the Universidad de Alicante and currently is a Professor en the Department of Applied Mathematics of Universidad Politecnica of Valencia (UPV), Spain.He has co-authored over 28 peer-reviewed papers and he has participated in 25 research projects. His research interests include both the areas of differential geometry and numerical simulation of opctics, physical and engineering problems.